From heavy winds to ice and snow, all kinds of weather can bring tree limbs or even entire trees crashing down. Will your insurance policy cover the damage? 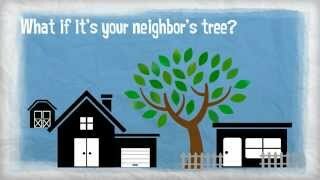 What if it's your neighbor's tree? Click below to watch this video and learn how tree debris removal coverage applies when you have a standard homeowner’s policy.